Aggressive feeding habits, fast growth and affinity for shore line structure make the catfish a natural for teaching young and old the secrets of fishing. This feisty battler enjoys a state-wide distribution due to its ability to prosper in almost any lake, river, creek or pond. The ability to reproduce in hatchery settings makes the catfish a natural for stocking programs. Raising catfish is not only for stock to aid in the management of healthy bodies of water, they are often required to re-stock lakes and rivers depleted by die-offs natural or manmade. In Illinois catfish raised in the state mostly come in the form of non-vulnerable (8-inch in length) channel catfish. Some fingerling blue catfish obtained from outside, grow to the non-vulnerable size in the hatchery and are released elsewhere in the state. The channel catfish program is a put/grow/take fishery. Other larger fish from private purchases are usually the source for the put and take urban fishing programs. The catchable size fish allow the participants to get the excitement of catching grown fish. Creel studies show that anglers catch 70% of the fish at a size of about 1 1/2 pounds. The remaining fish probably succumb to natural mortality in nature. The most commonly stocked catfish is the channel catfish. The readily reproduced subspecies is popular with programs to teach children the joys of fishing. 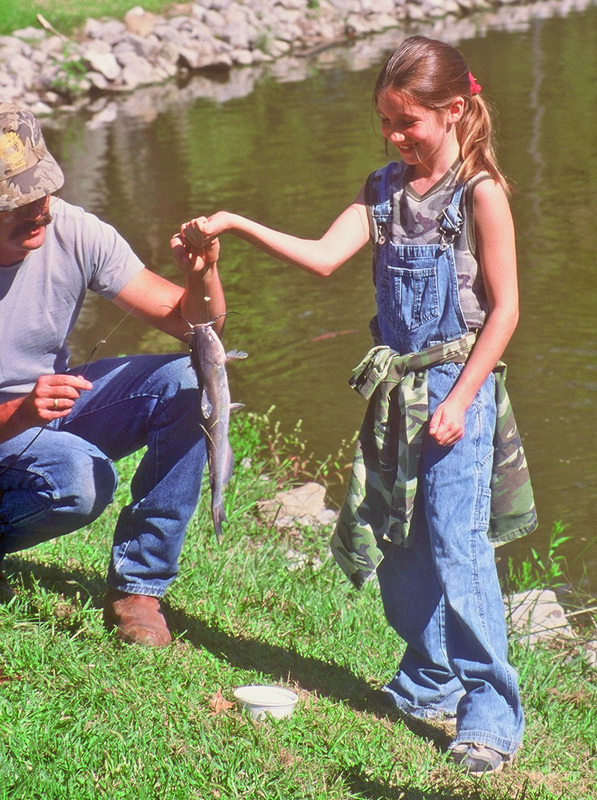 Numerous waters across the state receive fish in anticipation of fishing derbies for children. Derbies are mostly the product of the efforts of local groups. Others are part of governmental programs. The most common method of catching channel catfish comes from using a small bobber (float) above a hook and small sinker about 18-inches. Minnows cut up pieces of other fish, cheese, nightcrawlers, chicken or turkey liver or stink bait. The latter is often a mix of cheese, fish parts and secret ingredients whose name comes from the odor it usually omits. Most any rod and reel combination works for catfish. Most often the line is monofilament in the 10 to 12 pound class. Channel catfish are an equal opportunity kind of species. Most fishing tackle and baits work in catching them. Each year over a million children and adults in Illinois spend over 16 million days fishing in the state. Over sixty percent of those days are spent fishing lakes and ponds. Illinois has more than 91,000 lakes and ponds. There are some million and one half acres of surface water. Most fishing takes place during the summer months. 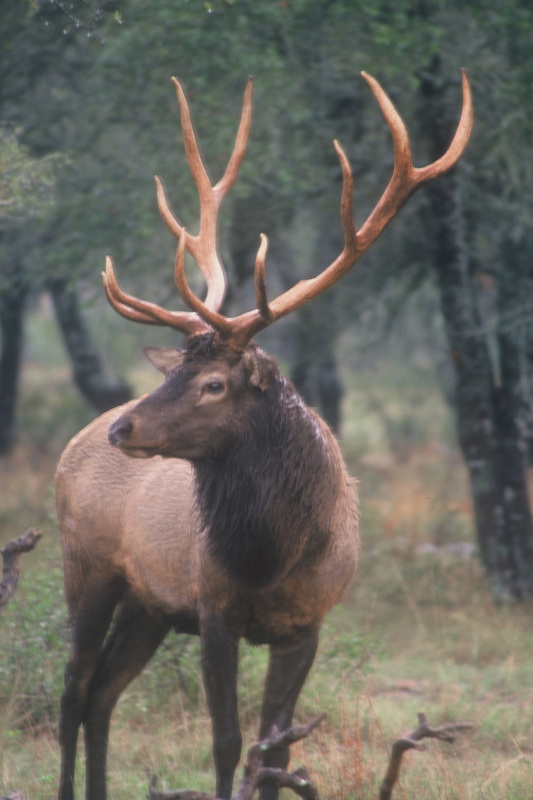 The re-establishment of wild elk in Kentucky is a bright star in the field of wildlife management. The first elk transported to Kentucky came from Elk Island, Alberta, Canada in the 90’s. Those first Rocky Mountain Elk were released at Land Between the Lakes and their descendants can be viewed there via an auto tour. Lessons learned in that transfer established a protocol for transfers to the south eastern part of Kentucky in subsequent years. The one hundred original animals consisted of 40 bulls and 60 cows. They seem to have grown larger than their brethren in the western states due lack of stress. Kentucky now boasts the largest herd of elk east of the Rocky Mountains. Estimates are that the herd is at 10,000 animals. This figure makes it larger than all of the other herds combined. This conservation success draws thousands of hunters and viewers to eastern Kentucky. More information is available at http://fw.ky.gov/Hunt/Pages/Elk-Hunting.aspx. The counties where the elk live, once coal mining country, were once decimated by the decline in coal mining. The restoration of the elk herd has had an estimated $3 million economic impact. Much of it comes from tourist activity and hunter activity. It has the appearance of scenery usually found only in Montana. Mine reclamation has resulted in mountain top grasslands with forested slopes and little commercial agricultural activity in the 16 counties affected. The coal companies worked with the Rocky Mountain Elk Foundation and Kentucky Fish and Wildlife from the start to improve the habitat to provide elk viewing and hunting opportunities. The work has resulted in benefit to the counties turkeys, white-tailed deer, waterfowl and migrating song birds. The Commonwealth of Kentucky issues 1,000-elk tags each year. There are over 70,000 applications for the tags. Hunters can apply for 4 types of tags in 2015 which is the 15th anniversary of the hunt. Some of the tags go to conservation organizations and charities to raise funds for conservation activities. They are sold by raffle or auction to the public. Early season bowhunting requires tactics needed are different from those in the late fall and early winter. Daytime temperatures are much higher and the deer move less. 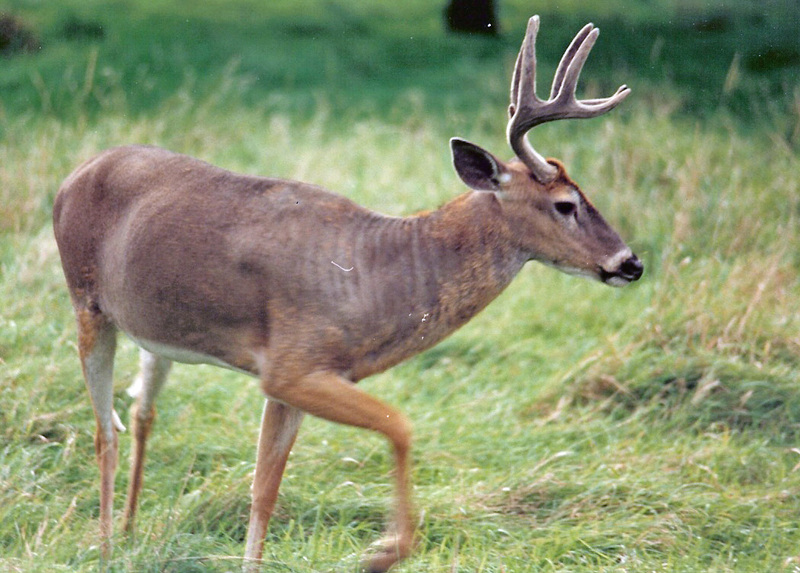 Warmer daytime temperatures lead to more sluggish deer activity. They might even become fully nocturnal to escape the heat. This makes for a challenge. In Illinois, the archery season opens the first of October and hunters often migrate to southern Illinois taking advantage of the vast areas of public hunting. Many state public hunting areas, the Shawnee National Forest, and Crab Orchard National Wildlife Refuge provide Bowhunters with less crowded hunting opportunities. Bowhunters key their hunting to water sources. The theory is that the amount of water consumed by a deer is inversely proportional to the amount of water in their food. If the deer can not get enough moisture from vegetation and surface water it will go looking another source. Early in the season deer do not change their patterns of activity for weeks if left undisturbed. During this period they are less nervous and easier to get close to than later. The deer’s primary concern in the early season is building up reserves of fat for the winter. Bucks eat heavily building up for the rut period during which they eat virtually nothing at all. Early in the fall they visit good feeding areas each morning and evening unless disturbed. Later they will consume berries, flowers and leaves. They prefer hickory nuts and early acorns, and the so called soft mast. Where available they feed on browse and agricultural crops. They travel long distances to find them. Later they seek crops, such as soybeans, corn and alfalfa. Although understanding the relationship of food to water for the deer is vital, it is also important to understand scent. The heavy doe-in-heat and rut scents should be avoided. They are unnatural this time of the year and tend to spook deer. The key for hunters is being absent any scent at all. Hunters should wash clothing in unscented soaps, bathe before dressing and use scent retarding products if possible. On the subject of clothing, camouflage clothing used in the early season tends to be light weight. As the sun begins to head for the horizon it can get chilly on a deer stand. Take a lightweight jacket along in your day pack for use when the temperatures drop. Also take along some good insect repellant as the mosquitoes come out as the day begins to end. Finally, if you are fortunate enough to harvest a deer, recover it as quickly as possible. Get it out of the woods and into some refrigeration. If that is not possible, skin the deer and cut the carcass into quarters. A quartered deer and an ample amount of ice will fit in a 48-quart cooler until you can get to a meat processor. Early season deer hunting in hot weather is different but can be just as productive as those rut hunts later in the fall. 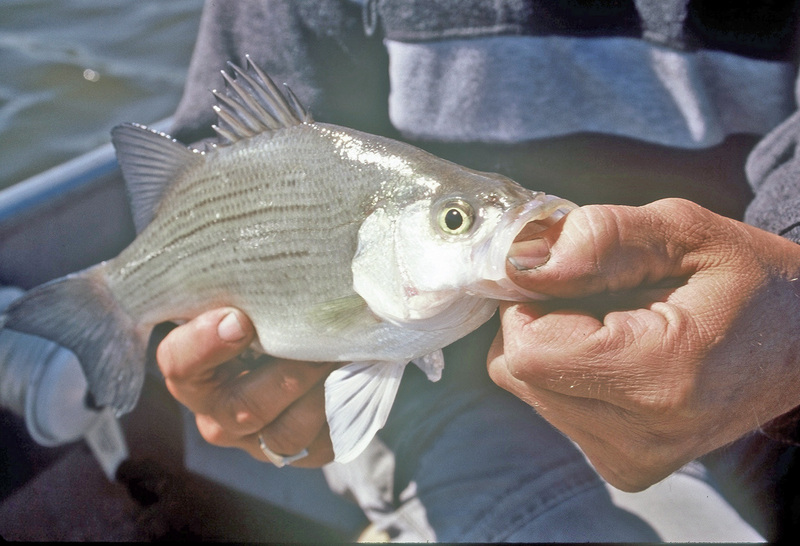 Fall fishing for white bass is just the opposite of the spring pattern. In spring they move to staging areas and then into the spawning areas of lakes and rivers. As the water temperatures begin to fall below the mid-fifties the white bass seek deeper water at the end of summer. Generally they suspend over structure or on the bottom of creek channels. This is when vertical jigging comes into play. White bass are a cousin of the saltwater striped bass and as such have much of a savage instinct found in their brethren. They hit light tackle and give the angler more than he can handle. The average size fish taken by anglers tends to run about 3/4 of a pound. Some will go over 2-pounds. Catching white bass is easy. Finding them is the tough part. Good electronics and the ability to use them are vital. White bass are active fish that feed constantly. Whites prefer to spend their time in water deeper than 10-feet. But they often move into shallows to feed. Their favorite meal is shad. If the angler can find large schools of shad chances are white bass are near. On warm days they tend to feed on the surface. Concentrations of seagulls pinpoint the location for the fisherman. At close range he can find them by spotting the splashing water caused by the feeding fish breaking the surface as they chase the shad. At times the fish will stay up for 10 to 15 minutes. More often they feed for only a minute or two and then dive back down to the safety of deep water. Usually they surface again a short distance away. Later still the whites become more difficult to find. The easiest way to find them is to go where all the other boats are and join in the action. If you do not have someone else to follow it is possible to find white bass by trolling small deep-diving crankbaits. Begin in the mouth of the feeder creeks and work back up river until you find the fish. Once you find the white bass dig out the jig and minnow combinations. Light tackle is a must for white bass. Small jigs are good with line in the 4 to 8-pound test range. Small tube jigs tipped with plastic grubs do a good job. The grubs should be ones with contrasting dark and light colors. Perhaps the best rig at this time of year is the tandem rig used often by crappie anglers. Tie the main line to a three-way swivel. Next tie leaders of different lengths to the other parts of the swivel. Some good lengths are 12 and 24 inches. To each of these leaders tie a jig with a small minnow attached. With this rig one can fish on the bottom and also just off the bottom at the same time. It also allows one to set the hook when a fish hits one jig and then wait for another white to hit the second jig. The astute angler will notice the size of the bait fish and match his lure to that size. Angling success tends to be dependent on year hatches. A year with incredible numbers can help carry the population over lean years. The best fishing in a particular body of water is likely to be about two years after a large year hatch.